(Bethpage, NY) -On Tuesday, March 27th, the Health & Welfare Council of Long Island hosted the first-of-its-kind Health Equity Summit, inviting non-profit executive directors, government leaders and healthcare professionals to hear national, state and local experts define and discuss health equity and why it matters to Long Island communities. 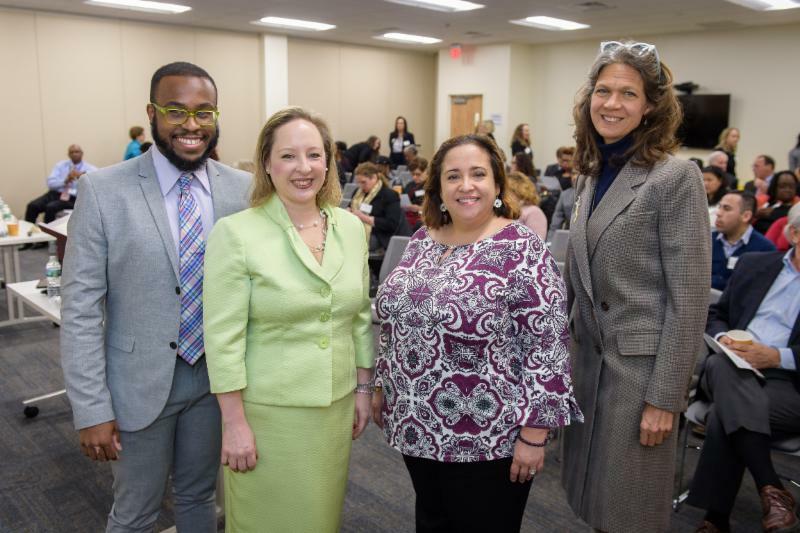 The panelists included Sinsi Hernandez-Cancio, Director of Health Equity for Families USA, Elisabeth Benjamin, Vice President of Health Initiatives for the Community Service Society and Jacob Dixon, Founder and CEO for Choice For All, a Roosevelt-based community organization. Collectively and individually, these speakers shared data and models that make the case for creating systems and pipelines to services that are equitable and sustainable, ultimately improving people’s lives in all communities on Long Island. In fact, numerous studies support the fact that 40% of what affects a person’s health outcomes has to do with whether their basic needs are being met-and not with traditional medical care. “The non-profit sector does an exceptional job of addressing symptoms, yet we agree that systemic change comes from self-reflection and a willingness to re-examine processes that inhibit positive outcomes,” adds Sanin. The Health & Welfare Council is the lead agency for a New York State Department of Health planning grant, working with other community-based organizations to strategically plan and develop the infrastructure to collectively engage with a transformed health care system through Value-Based Payment (VBP). This is a unique opportunity to break down silos, develop a collaborative voice and create a strong system in which services that address communities’ needs are valued and compensated. The Health and Welfare Council of Long Island is a not for profit, health and human services planning, education, and advocacy organization that serves Long Island’s at-risk and vulnerable individuals and families. As Long Island’s premiere convening non-profit with over 200 member organizations, the Health & Welfare Council has been providing direct services and executing policy and advocacy work that improves lives-for over 70 years. Special Enrollment Period: Individuals applying outside of open enrollment will be required to provide proof of eligibility for a special enrollment period by submitting supporting documents. This rule aims to reduce fraud and abuse by ensuring that only those who are eligible are able to enroll. Consumers are not currently required to submit proof and this additional documentation burden could result in consumers experiencing delays in their coverage. Continuous Coverage: The final rule allows insurers to require individuals to pay back past due premiums before enrolling in a plan with the same insurer the following year. Consumers who fell behind in premium payments will have to pay the balance due or they will not be able to enroll in the same coverage, forcing consumers to choose between overcoming a financial burden or being locked out of coverage for the entire year. Ensuring Additional Choices for Consumers: the final rule allows insurers additional flexibility with the actuarial value of plans so they can offer more plan choices with lower premium options. While at first glance it does seem beneficial to offer greater consumer choice, actuarial value flexibility will allow insurers to offer cheaper plans by removing benefits or increasing out of pocket costs. Consumers may not realize what benefits are not being offered with their plan or what out-of-pocket costs they will be responsible for. While overall these policy changes may be aimed at increasing choices and lowering costs, a robust education and outreach component should also be included to ensure that consumers understand how these changes may impact their coverage. State-run marketplaces, like the New York State of Health, do often have more flexibility in establishing some of these policies so it is not entirely clear at this time how this final rule will impact consumers currently enrolled or enrolling in coverage through the New York State of Health Marketplace. HWCLI will continue to follow these changes and provide further updates when additional information is provided by the state. Below is a brief overview of some key provisions in New York State’s 2017-2018 Budget that may have an impact on the health and well-being of Long Islanders, especially those living in poverty. New York students from families making less than $100,000 a year (which will increase to $125,000 per year by 2019) will be eligible for free tuition at SUNY or CUNY schools under the “Excelsior Scholarship.” The initiative won’t cover room and board and students will have to meet residency, grade point, and class load rules to participate. The program will be phased in over three years and also sets aside $19 million for tuition aid for students attending private colleges. Upon graduating, recipients will have to live and work in New York for several years or the grants will be converted into loans. The state estimates nearly 113,000 families with college age students (55%) on Long Island would be eligible for this program. The CHA program received $3.5 million in funding, which was less than the requested $4.75 million, but more than was allocated in last year’s budget. The Community Health Advocates network provides critical consumers assistance and counseling related to obtaining, utilizing, and resolving issues with all types of health insurance coverage. 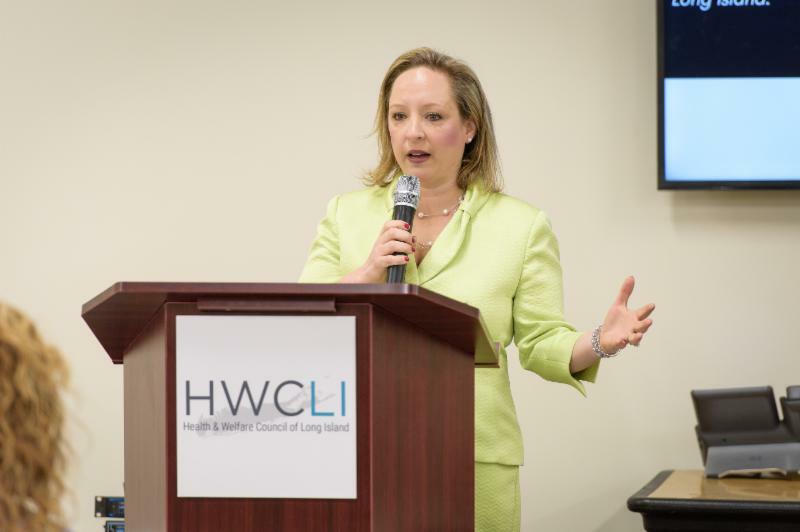 HWCLI, as well as other Long Island non-profits, has provided services through the CHA network for over 5 years and appreciates NYSDOH’s on-going support in assisting low-income and vulnerable families with navigating health insurance. The budget includes $10 million for immigrant legal aid efforts, with $4 million set aside specifically to assist New York immigrants at risk for deportation. The funding includes money for the Vera Institute of Justice as well as the New York Immigration Coalition, Empire Justice Center, Northern Manhattan Immigration Coalition for Immigrant Rights, the Hispanic Federation and Catholic Charities Community Services. HWCLI applauds the State for providing additional funding for much needed legal services for this extremely vulnerable group. Since 2014, more than 7,800 children have arrived on Long Island from Central and South America to reunite with family after crossing into the United States. To coordinate and convene the work of agencies assisting recently arrived children, HWCLI facilitates efforts between legal, education and social service agencies to provide integrated services, collaborate on advocacy, share best practices, and leverage limited resources- including legal supports and services. The final budget amends New York State’s child and dependent care tax credit to increase the tax credit for families earning between $60,000 and $150,000 per year. The benefit for the average household will increase from $169 to $376 and assist more than 200,000 families in offsetting the costs of child and dependent care. Premiums and co-payments will not increase for those enrolled in the Essential Plan with incomes between 138-150% of FPL as initially proposed by the Governor in the Executive budget. This proposal would have placed additional financial burden on low-income individuals and households making between $16,643 and $18,090 for a household of 1 and between $33,948 and $36,900 for a family of 4. The final budget cuts funding for child care subsidies for low-income families with incomes less than 200% of the federal poverty level by $7 million. Currently, 83% of eligible families do not have access to these subsidies because of inadequate funds. It is estimated that the cut will result in an additional 900 families losing their child care subsidy. The budget allocates $20 million over 2 years to enhanced safety net hospitals, a new category of hospitals that serve low-income New Yorkers. To meet the new criteria, hospitals must show that in any of the last three years at least 50 percent of their patients were uninsured or on Medicaid, at least 40 percent of inpatient discharges were billed to Medicaid and no more than 25 percent of patients had commercial insurance. The budget includes a new tax credit for farmers who donate fruits, vegetables, and other farm products to local Food Banks- the credit is limited to $5,000 per year but will help farmers offset the harvesting and transportation costs of moving surplus crops that might otherwise go to waste. Click here to read the entire budget. The Association for Mental Health and Wellness is hosting a Social Determinant Workshop in honor of Mental Health Awareness Week. The workshop will take place on October 4th from 1-4 pm at the Huntington Hilton. Sponsored by the Suffolk Collaborative and the Nassau Queens Preforming Provider System, this free event will overview the social determinants of mental health, review the evidence of mental health inequities in the United States, and consider solutions to addressing the social determinants of mental health from a policy perspective. The presenter, Ruth Shim, MD, MPH is Vice Chair of Education and Faculty Development and Chief of Outpatient Psychiatry Services in the Department of Psychiatry at Lenox Hill Hospital in New York City, a division of Northwell Health. She is an Associate Professor in the Department of Psychiatry at Hofstra Northwell School of Medicine. According to a new federal survey released this week by the U.S. Census Bureau, number of uninsured Americans declined from 13.3 percent of the population in 2013 to 9.1 percent in 2015. Uninsured rates declined across all age groups with adults ages 19-25 experiencing the biggest one-year drop. The uninsured rate among adults ages 19-25 dropped by 2.6 percentage points in 2015. Young adults ages 19 and 26 have a higher uninsured rate than other ages in the group likely due to Child Health Plus ending at age 19 and children losing coverage through their parents at 26. Among racial/ethnic groups, Latinos experienced the largest coverage gains although they continue to be the most likely to lack insurance. Data from the American Community Survey shows higher uninsured rates in states that have not expanded Medicaid. In 2013, 19 states had uninsured rates of more than 14 percent. In 2015, only Alaska and Texas have uninsured rates that high and at the time data was collected neither had expanded Medicaid (Alaska’s Medicaid expansion went into effect September 2015). Despite tremendous gains in the number of people covered by insurance, 29 millions Americans remain uninsured. States that have not expanded Medicaid should accept the federal dollars available to them to expand coverage for low-income residents of their states. For more details check out this report from the Commonwealth Fund. HWCLI’s 2020 Census Logo Contest! © 2019 Health and Welfare Council of Long Island. All Rights Reserved. The material on this site is protected under the copyright laws of the United States of America and international conventions, and is the exclusive property of Health and Welfare Council of Long Island or any licensee.